Introduces automation to a manual & time consuming test. Standardize Stress Crack Testing across your orginization. User safety, constructed to CE standard. Complies with the ISBT test method. Typically PET environmental Stress Cracking originates around the base of the bottle. There are many factors which can cause it. The Intrinsic Viscosity of the Preform used to blow the bottle. 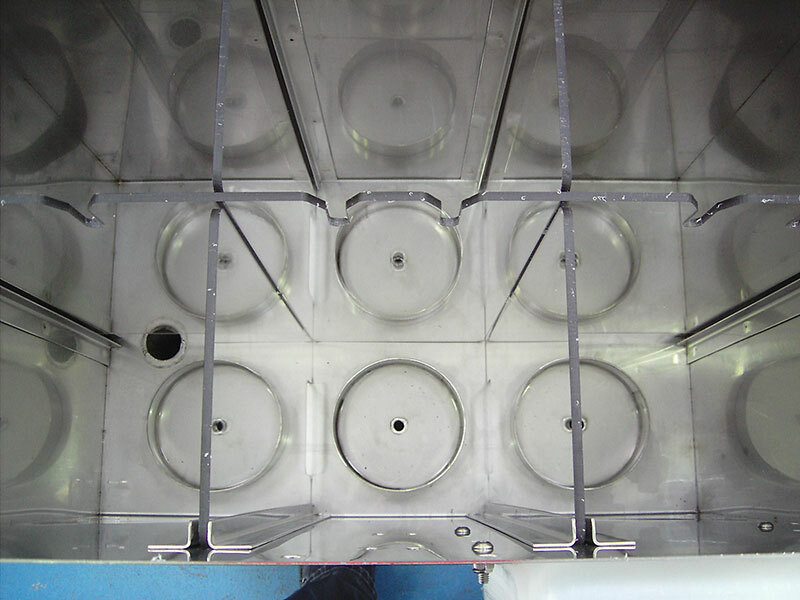 Control of process and cooling parameters during the moulding process. 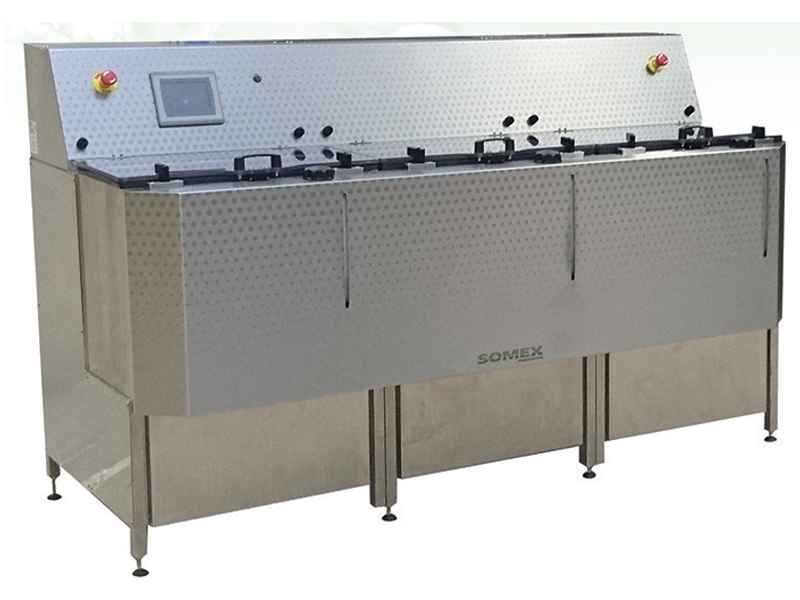 Contact with line conveyer lubricants during manufacturing. Performance of samples can be evaluated when the base of the bottle is immersed in a NaOH (Sodium Hydroxide) solution which simulates failure associated with Stress Crack. Prior to immersion the bottles are filled (to fill level) with water and pressurized. Failure results in a pressure loss or burst of the bottle. 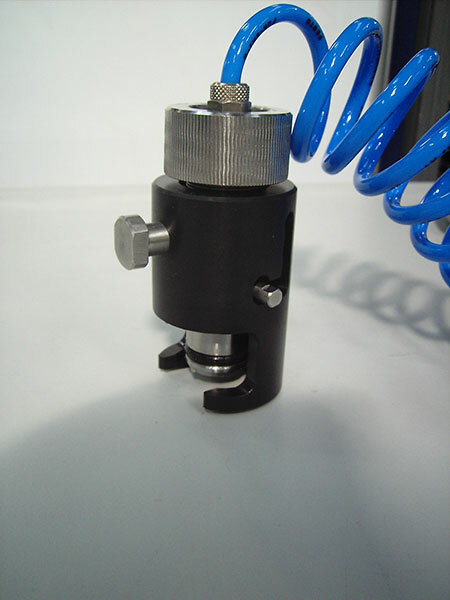 The special purpose Neck Seal is placed on each prefilled bottle which is then placed in the Stress Ctack Tester. 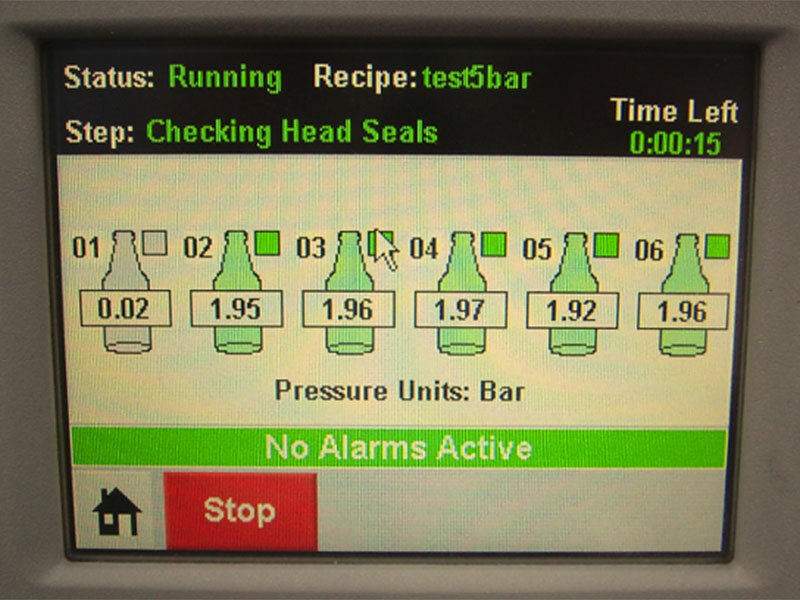 A preprogrammed Test Profile is selected using the touchscreen HMI. Test Profiles are set up by each customer specific to their testing requirements (Test Profile: Test Pressure, Rate of Pressure Increase, Test Time etc) . After each bottle has been placed in the device, the interlocked safety door is closed and select START. 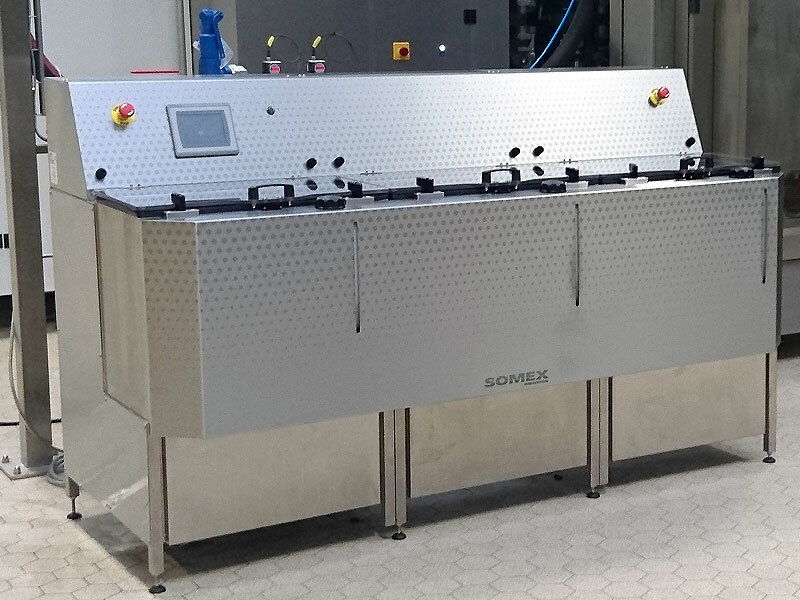 Initially a test to ensure no leakage at the Neck Seal, then the pressure is ramped up at the customer specified rate to the required test pressure, The NaOH soultion is released automaiically at prescribed time to immerse the base. Each bottle is then automatically monitored for the specified time. When failure occurs the time and Head No. is recorded. The special purpose Neck Seal is placed on each prefilled bottle which is then placed in the Stress Crack Tester. The interlocked safety door is then closed and each bottle pressurized to the required level. This is done by switching a valve, the test pressure has been pre set on a precision regulator. After the prescribed time, using a pneumatic operated valve the user releases the NaOH solution to immerse the base. The user then monitors the time to failure for each sample.